I always learn things when I go to visit friends. 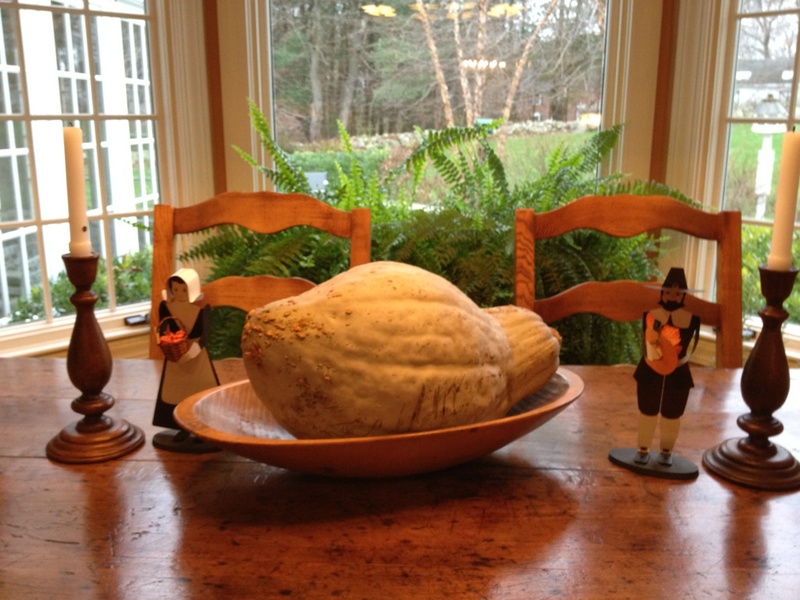 This friend merely bought a Blue Hubbard Squash, put it in a beautiful antique wooden bowl and added some Thanksgiving people.Looks great on her kitchen table in anticipation of the holiday! This entry was posted in decorating for holidays, nick nacks and tagged Children and Youth, Concord, Holidays, Home, Home & Garden, Home Improvement, Interior Decor, Interior Design, Thanksgiving. Bookmark the permalink.